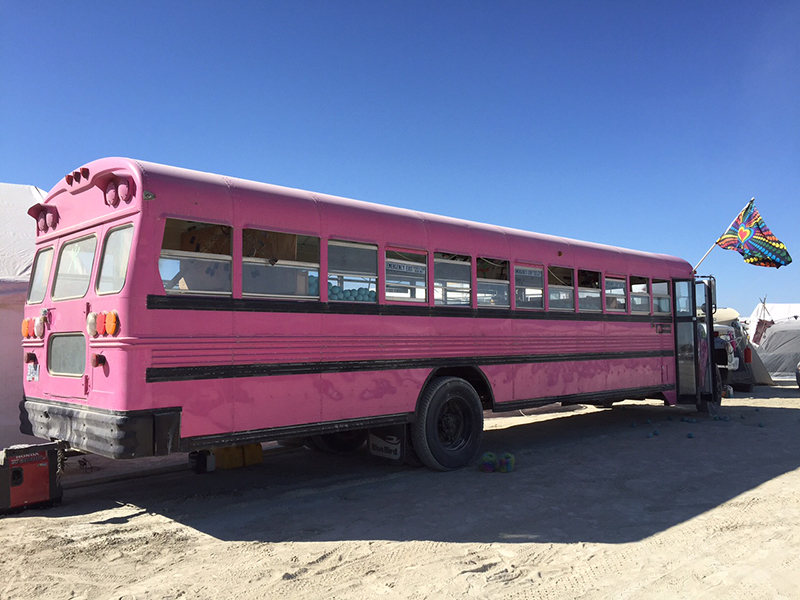 Burning Man is known for its amazing art and DIY mentality. 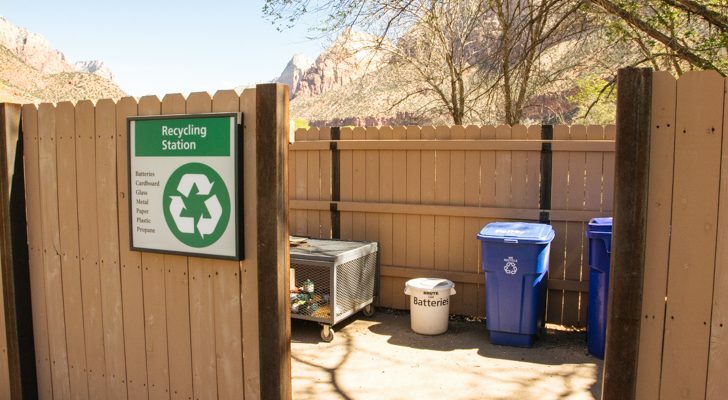 These 15 RVs are just a few of the wonderful ideas that you have to see to believe. 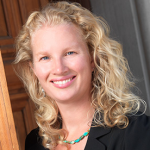 Burning Man, an annual event in the Black Rock Desert of Nevada, is an explosion of art, performances, community, dust and even a Roller Disco. 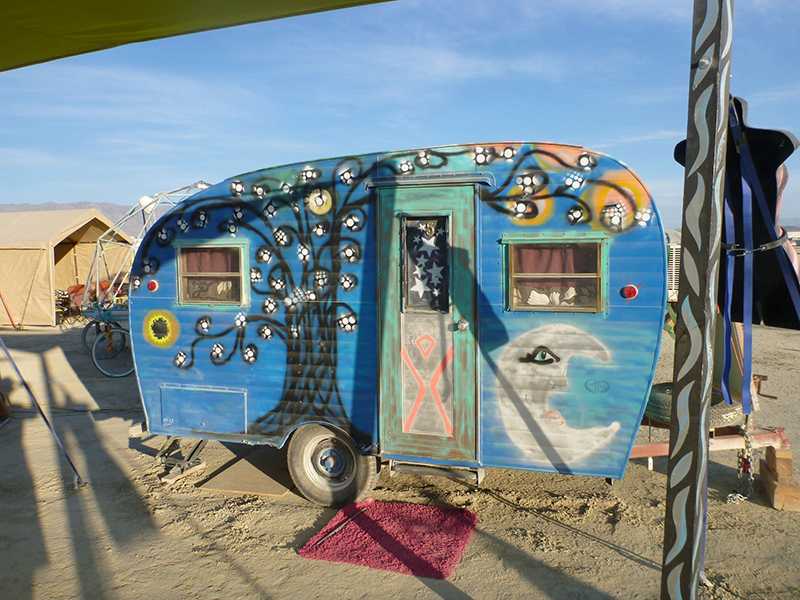 For just over a week, over 70,000 people converge on the desert and live in a temporary city named Black Rock City. 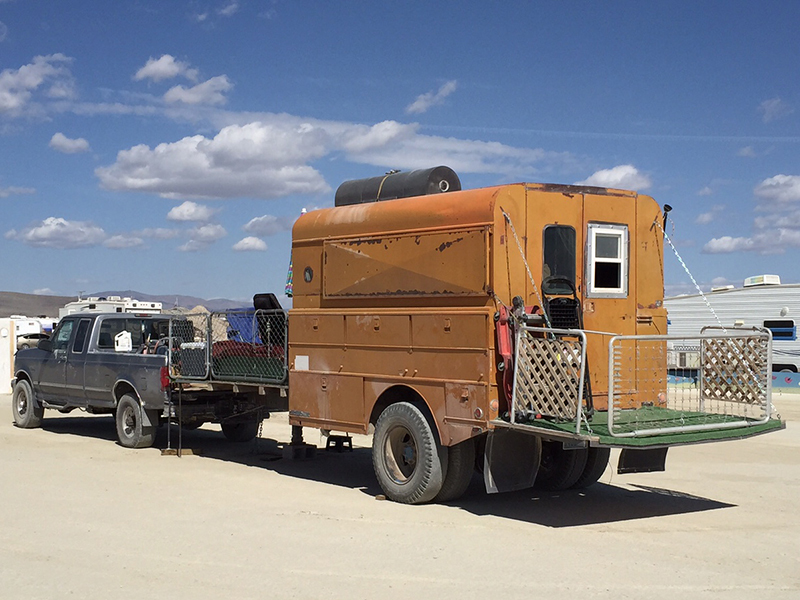 Burners, as they affectionately call themselves, live in various creative camps and structures and some even bring RVs that defy explanation. The Love Bus is a gigantic ball pit full of blue rubber balls. 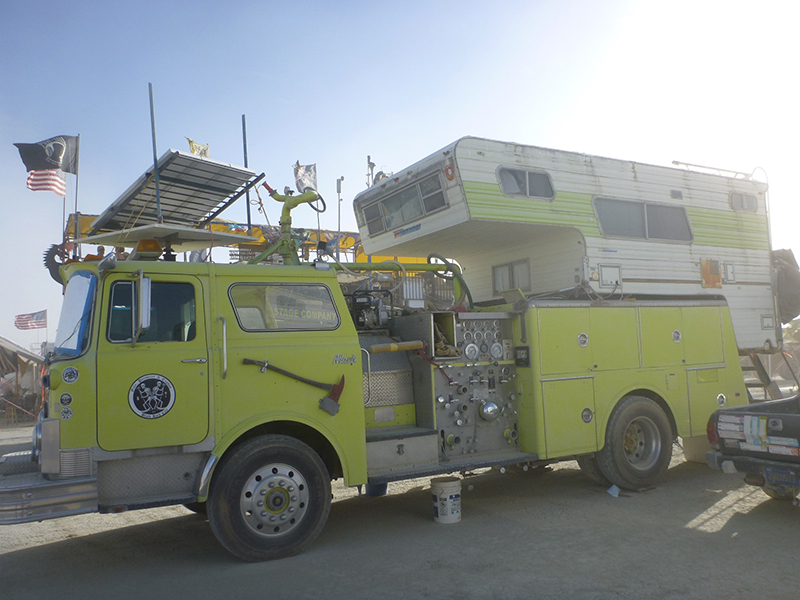 This fire engine/camper shell hybrid is used by the Gate, Perimeter and Exodus crew. 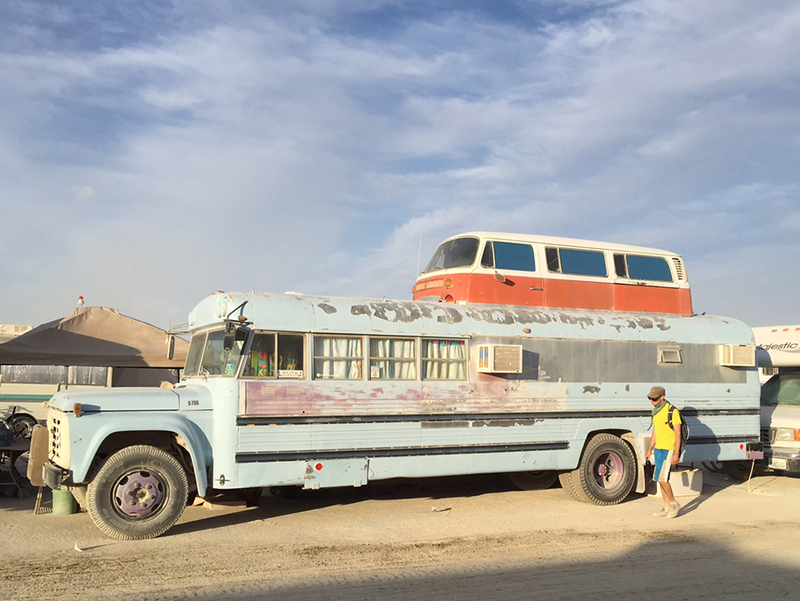 This stretch bus was parked at VW Bus Camp. 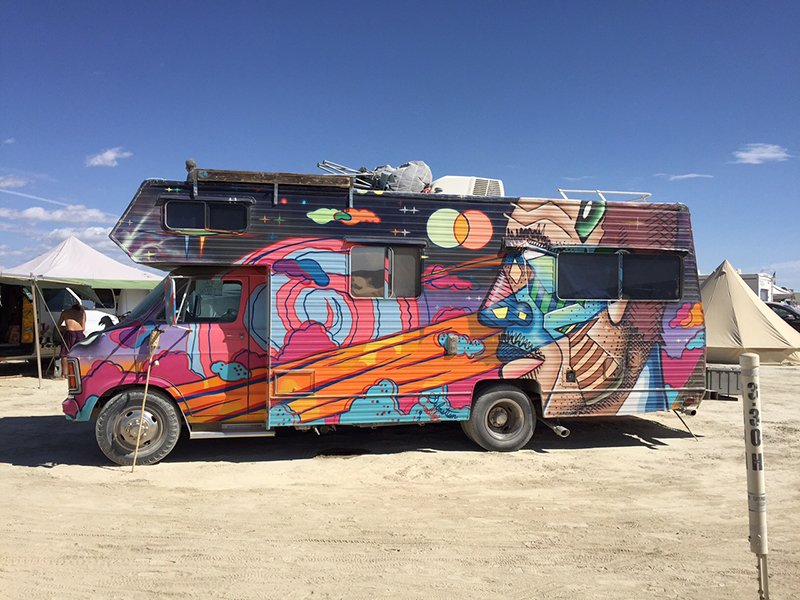 Unless you have a licensed “mutant vehicle” registered with the Department of Mutant Vehicles in Black Rock City, you are not allowed to drive your car or RV around Black Rock City or onto the Playa where the main art is displayed. So many of these decorative RVs stay put in their city location. 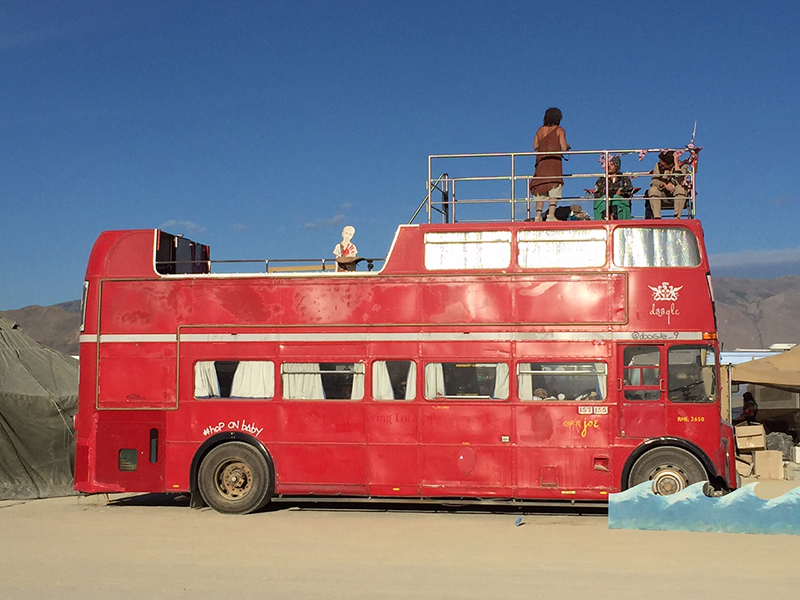 A double decker bus gets a new life as a Black Rock City camp. 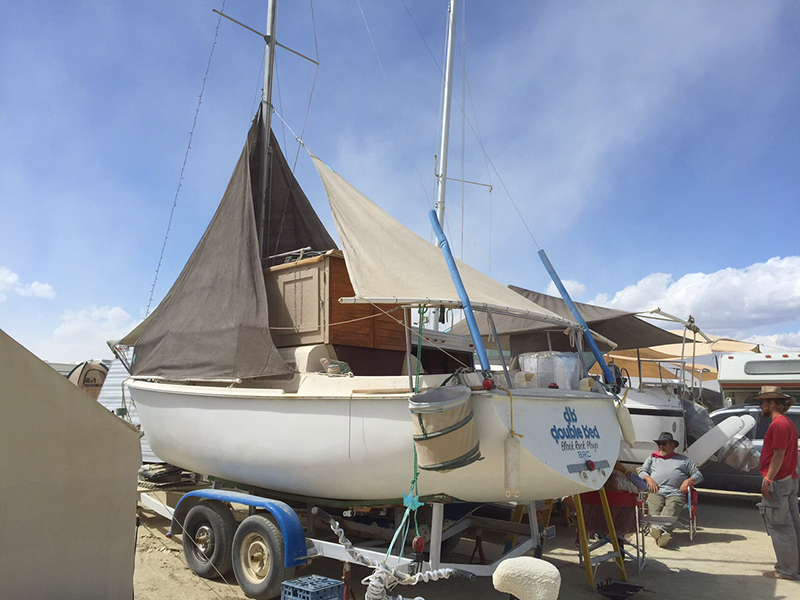 Double Bed, a sailboat turned into an RV, was recently featured on DIYRV. 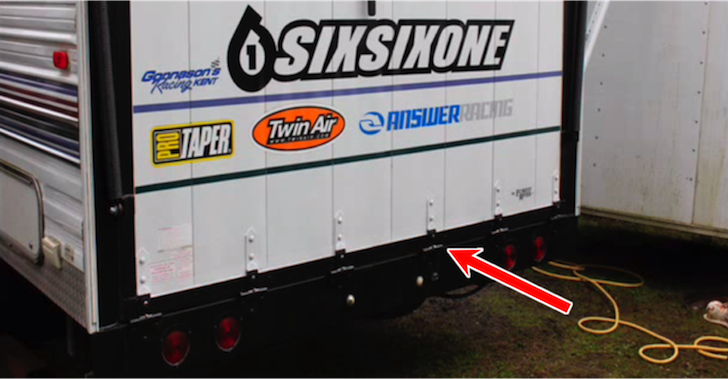 Quite a few of these RVs or camps return year after year and are recognized instantly by their paint scheme or design. 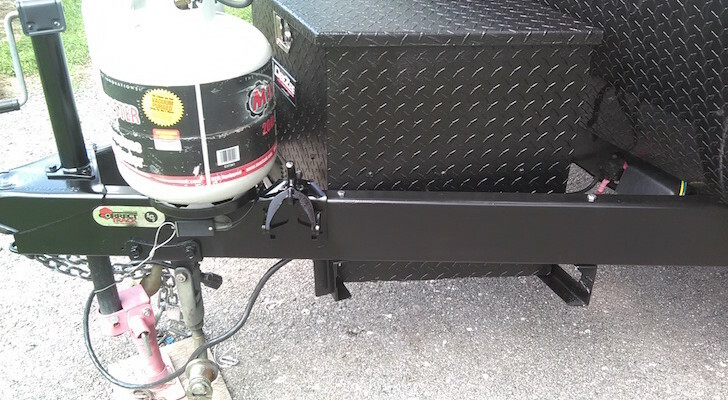 I even ran into Double Bed by Mark Hebert which was featured on Do It Yourself RV. Many of the owners also offer various gifts during the event. For example the Nakked Zebra Boutique has a shop where you can pick up “new to you” Burner clothing and accessories. The colorful canned ham that marks the Nakked Zebra Boutique. 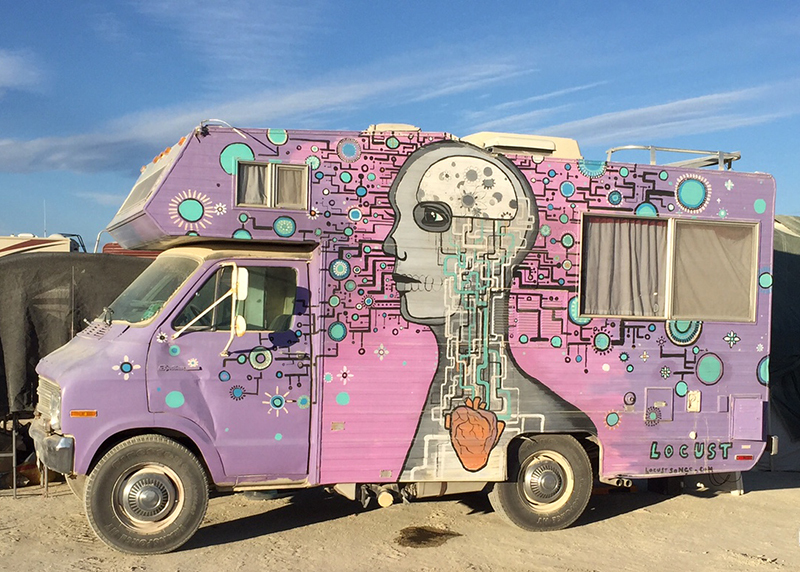 This whimsical vardo offers rides across the Black Rock Desert. 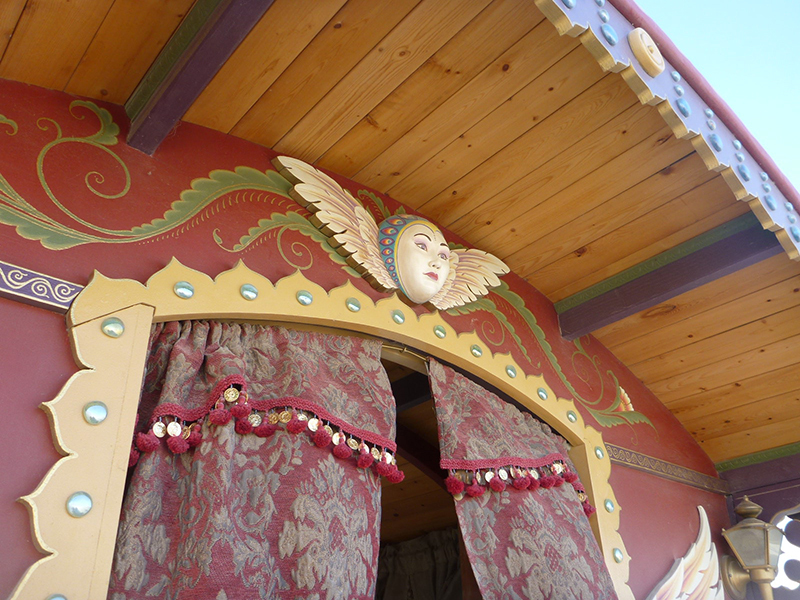 The details on the vardo are exquisite. Having a dynamic or interesting RV also acts as a marker so you can more easily find your camp. 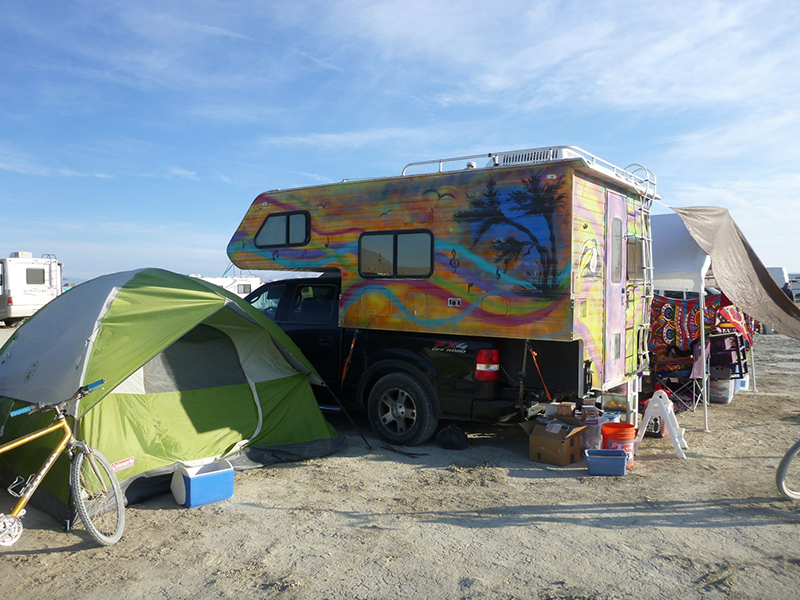 Black Rock City is huge and is laid out in a block pattern with radial and annular streets. The radial streets are named after clock times (2:45, 5:00, etc.) and the annular streets are named differently each year from A to L according to the annual theme. For 2015’s theme of “Carnival of Mirrors”, A was Arcade and L was Laughing Sal. 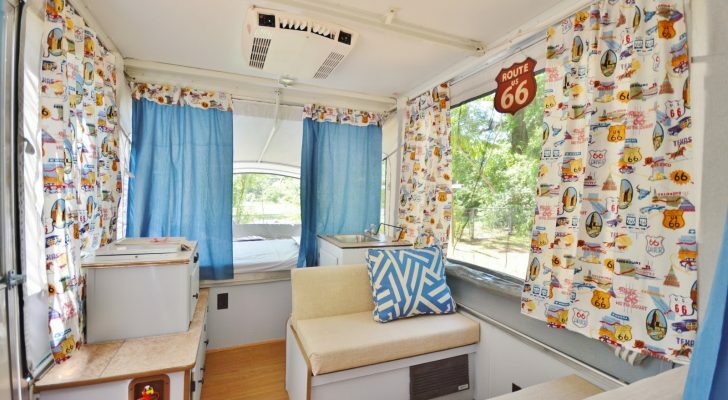 A multicolored RV is helpful for people who are looking for your camp. 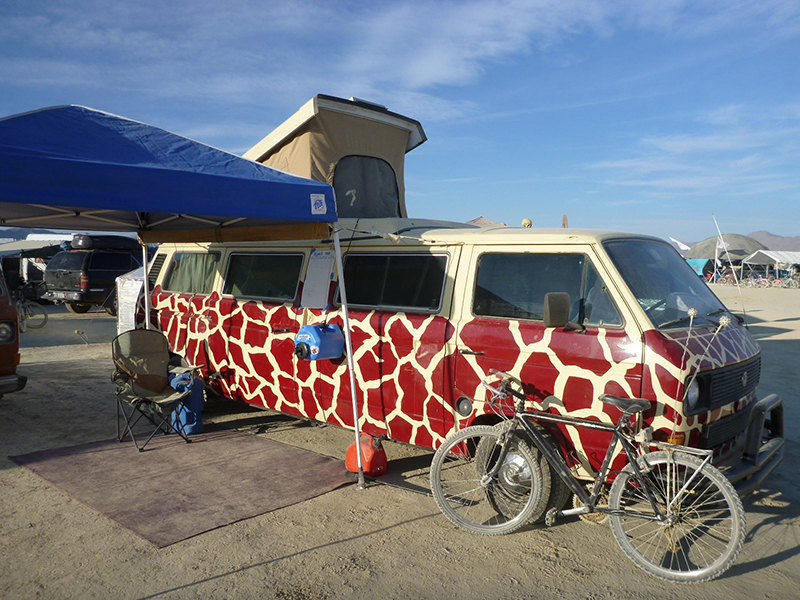 RVs also help to shelter Black Rock City residents from the freakish weather that periodically hits the Black Rock Desert. 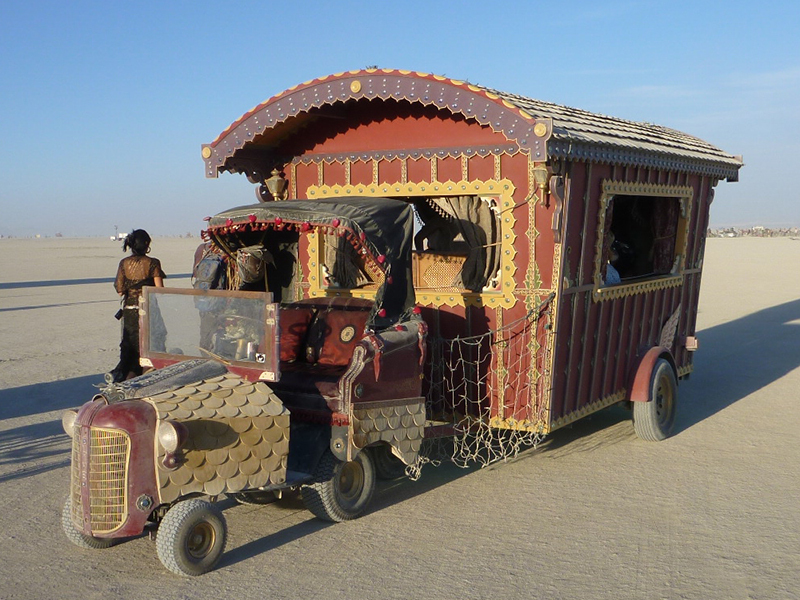 Burning Man is notorious for its dust storms, hot days, cold nights, wild winds and summer thunderstorms. 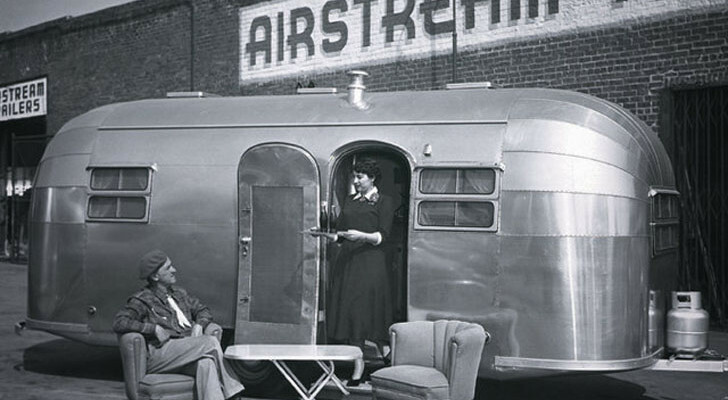 Having an RV, whether it’s a simple teardrop trailer or an engineered marvel, will protect you more than a tent. 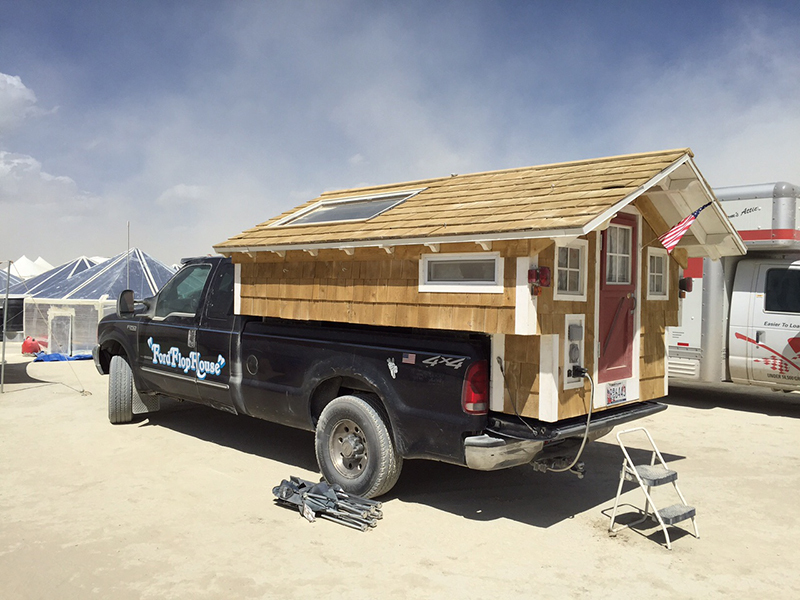 The “Ford Flop House” is a delightful alternative to a camper shell. 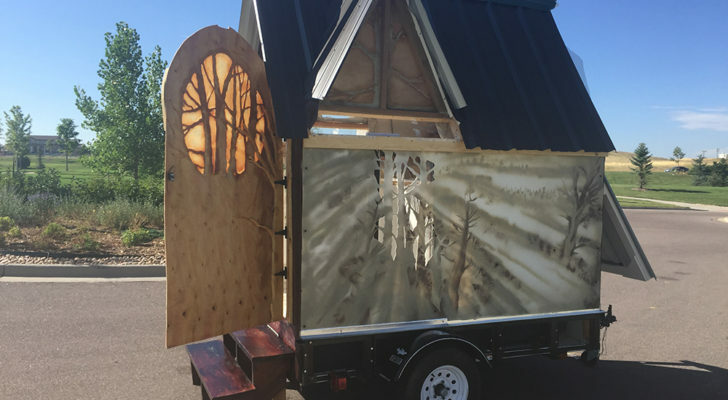 This military style RV has a cool back porch. How about a VW bus on top of a school bus? 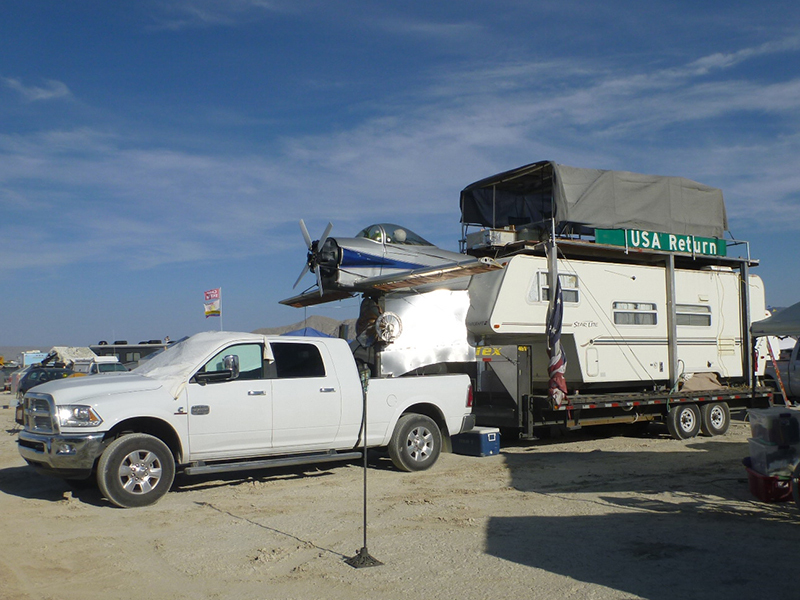 Or a Frankenstein RV/plane with a shaded top floor? 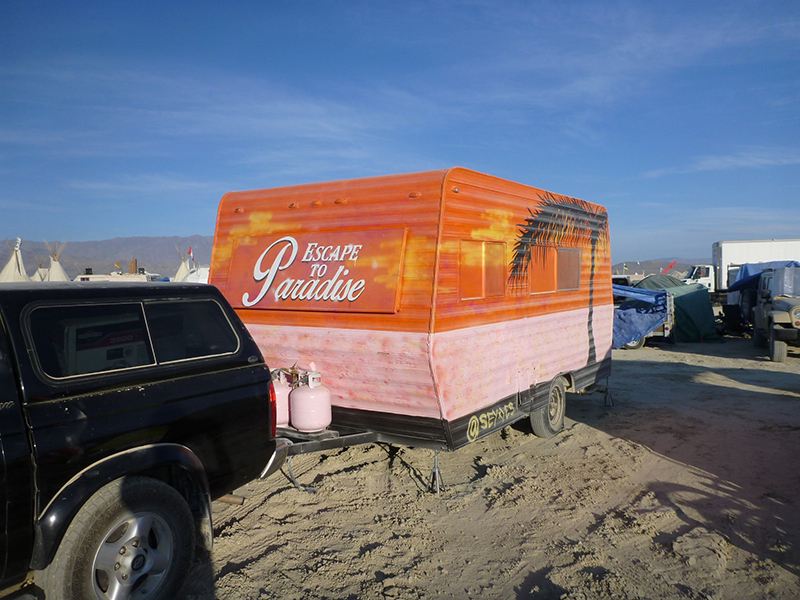 Thanks Jason, your camper looks great! 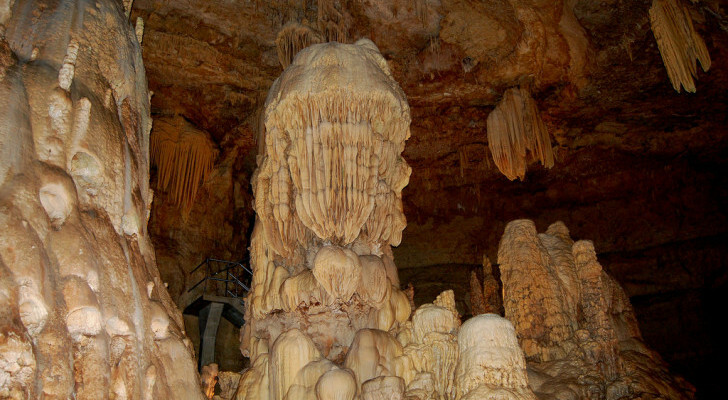 Thanks for the pictures and article! I hope you had an amazing Burn!